My last post told the story of my tragic wishbone chair love story. And I touched on my love for iconic chairs there. Currently, I don't own any chairs from my ultimate wish list, but I do have two original JL Moller chairs that I scored on Craigslist for $25 each (you know how some people are great at thrift store and Craiglist finds? yeah, that's not me--those chairs are my only prize). I also have some other really great chairs in my house that aren't necessarily iconic, but they have great structure and history behind them. One thing I loved about my design school program was how much we were taught about design history. Not only that, but during a study abroad semester, some friends and I made a pact to see as much European design history as possible while there (like the total design history nerds that we are). These two things have created in me a great love for iconic chairs. I need them in my life. My friend "Ploetze" and me in front of some Barcelona Chairs, at the Barcelona Pavilion. It's surprising how calm I look in this picture considering the amount of ecstasy that we were in moments earlier. This was a big day in my design memory. The Eames Lounge Chair. You've probably seen this all over TV. I was watching "Celebrity Game Night" (hilarious, by the way) a few nights ago and they had one. One of the players carelessly jumped on the footstool. I cringed a little. Le Corbusier Sling Chair (or "Pony" Chair, as it's called with it's mate the "Pony" Lounge, named from the hide used). The Auburn University Architecture Library has these in brown leather. Sometimes I went there just to sit in one (and scope out delicious male architecture students). This is me sitting in one at Le Corbusier's Villa Savoye, outside of Paris. Saarinen Womb Chair. The name of this made me a little uncomfortable at first. Until I sat in one. And then I understood. Knoll makes kid versions of these. They are the cutest things ever and I need one. The Windsor Chair. One of the only chairs from my list not from the 20th Century. It's a classic. I've seen little versions of this chair too. 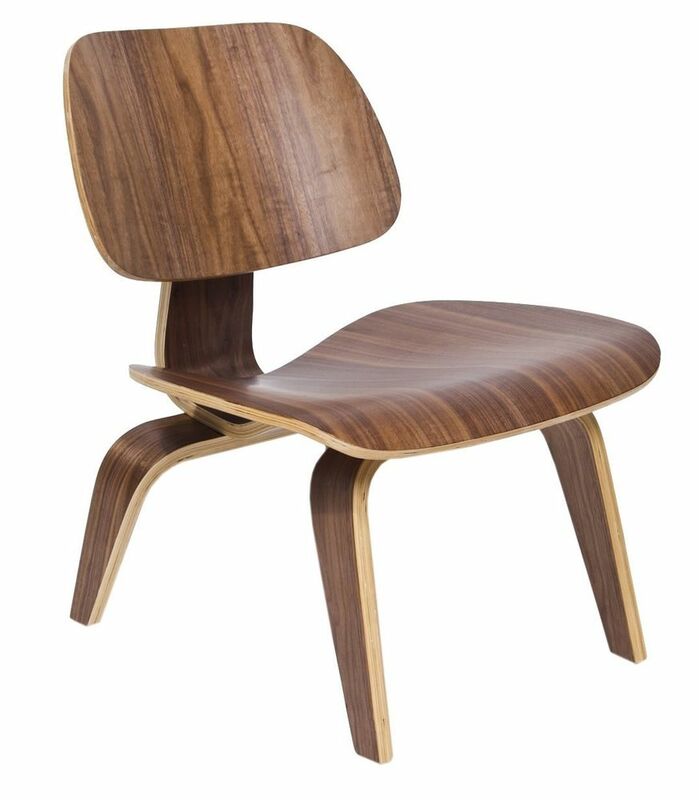 Eames Shell Chair. This comes in many colorful side chair and arm chair versions, in addition to the rocker (see below), which is my personal favorite. I've always wanted one of these for a nursery. I even got this convertible high chair for my toddler because it has a mid-century shell chair inspired look to it (well and ok I got it for other practical reasons besides just that it looks nice). So there it is. The shortened version anyway. You'll notice several are Eames Chairs--designed by the husband and wife duo Charles and Ray Eames. You can read more about them and see more of their works here. Their designs are still in production today, many by Knoll and Herman Miller. You can also find more affordable versions of their products from Baxton Studios. Ikea even makes a translucent cantilevered knock-off. The great success of iconic pieces such as the ones above is that their creators managed to produce designs that are truly timeless. Many are more than half a century old (some approaching a century) and they looked as if they were created by a modern designer in today's world. This is one of the driving forces behind many of the things I do. I try to pull from many eras of influence, rather than just sticking to modern trends (not that I haven't been caught using them--hey, my bedroom side tables have been painted in chevron for over 2 years). What is it from history that drives you? What traditions do you hold onto and why? In any area of life--not just design. It's important to know your history, learn from it, and acknowledge your influences!